Sarah Nader - snader@shawmedia.com Lori Nelson (center), Chief Executive Officer of Family Services & Community Mental Health Center of McHenry County was honored as the 2012 Woman of Accomplishment during the WINGS Woman of Accomplishment luncheon in McHenry on Wednesday, March 21. 2012. 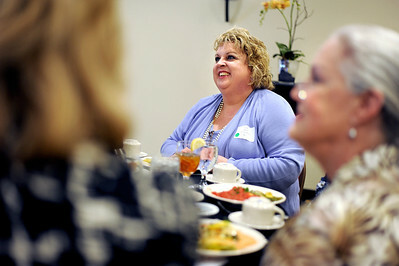 Sarah Nader - snader@shawmedia.com McHenry Area Chamber of Commerce President Kay Rial Bates spoke briefly while attending the WINGS Woman of Accomplishment luncheon in McHenry on Wednesday, March 21. 2012. 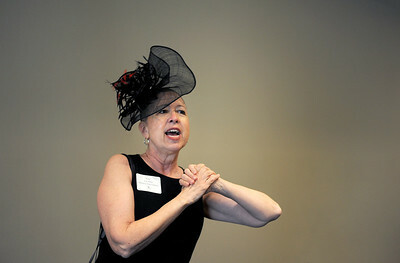 McHenry Area Chamber of Commerce President Kay Rial Bates spoke briefly while attending the WINGS Woman of Accomplishment luncheon in McHenry on Wednesday, March 21. 2012.